We provide our clients with expert safety consultants, multi-site support, a range of safety services to meet all needs, and a complete safety service package. 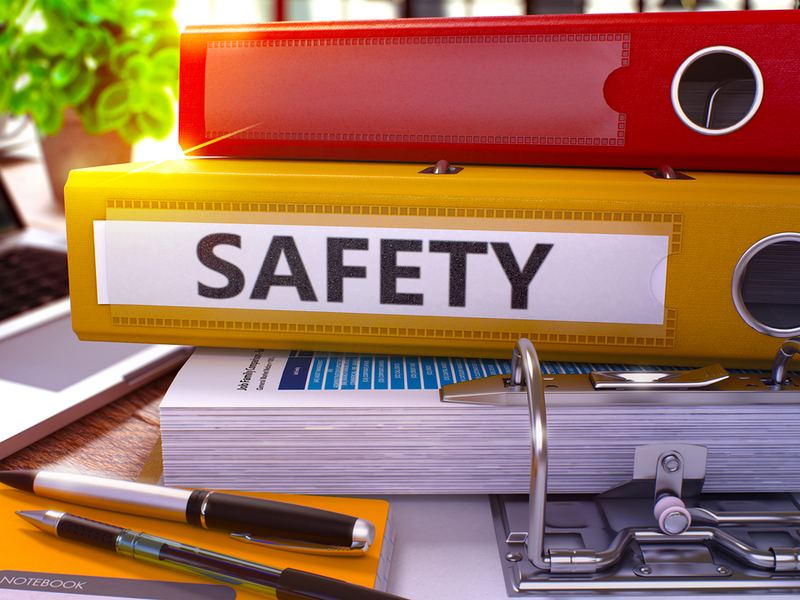 Fortier can assist you in developing and preserving an effective safety program that will save your company money. Let us make safety a profit center within your company by reducing accidents and injuries to zero, eliminating OSHA citations, and lowering worker's compensation costs. We will achieve an effective safety program by implementing management commitment, training, site inspections, and quality policies and procedures. Our safety program audit is an effective tool to evaluate your safety program as a comprehensive unit. Problem areas are identified and solutions suggested in the following areas: management commitment and employee accountability, regulatory compliance, worksite analysis, hazard prevention and control, safety training, and recordkeeping. Most company safety directors, if on staff at all, are spread too thin to provide the inspection frequency that is necessary to ensure that a safety program is being properly implemented. The best program available is ineffective if it is not enforced. Fortier offers independent, thorough, well-documented, and frequent inspections. See an Example Inspection Report. We offer a variety of safety trainings, which include regulated courses as well as customized classes to meet the needs of our client. We offer OSHA Update, New Hire Orientation, Supervisor Safety Training, OSHA 10 & 30 Hour Certification for Construction & General Industry, Hazard Communication Training, Permit Required Confined Space Training, Respirator Training, Lockout/Tagout Training, Medic 1st Aid, CPR, and AED Certification, Drug Free Workplace Training, Excavation Safety Training, Personal Protective Equipment Training, Qualified Rigger and Signal Person Training, Scaffold Safety Training, Traffic Control/Flagger Training, Mine Safety & Health Administratoin Training, NFPA 70E Training and much more! These courses can be conducted onsite or at a Fortier training facility. Some of our most popular classes are offered at our offices for individual enrollment. View our Training Schedule for each office. Our consultants are available for timely, onsite accident investigations. The documentation provided by this investigation could be invaluable for legal purposes or simply as a management tool to avoid a recurrence of a similar accident. We help our clients overcome the inherent difficulties of managing an effective safety program in one of the highest risk industries, construction. With a significant number of clientele in the construction industry and years of experience, our consultants are accustomed to identifying potential safety problems at a construction site, timely communication of those problems to management and suggesting changes to head-off potential accidents or compliance concerns. We provide a number of insurance industry clients with reports and inspections that evaluate a potential insured customer's safety program to assist in evaluating their insurability. We also provide our services ongoing to insurance companies to manage the safety program of their insured customers. We have several consultants with certifications qualifying them as expert witnesses. We have assisted in numerous cases where a safety expert was needed to assist with the defense or plaintiff's case. Our consultants can assist you with air monitoring, noise monitoring, or other health issues.